The MAAD Hunter Venture Capital Group, Inc. Scholarship is for children of active First Responders in our coverage area who wish to pursue higher education in any field they choose. Every little bit helps! Donate now and your dollars will go twice as far! The Chisholm Trail 100 Club, on behalf of MAAD Hunter Venture Capital Group, Inc., is now accepting applications from graduating high school seniors of first responders in CT100 Club's coverage area. We are proud to announce the 2017 Winners of the MAADHunter Venture Capital Scholarship are James Guthrie of Centennial High School and McKully Reynolds of Glen Rose High School. James Guthrie plans to study Electrical Engineering and Aerospace Engineering at University of Texas at Arlington, with hopes to work at Lockheed Martin or a similar type of facility in the future. 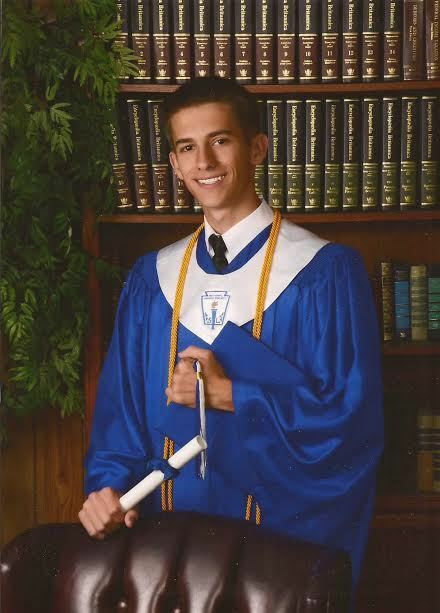 McKully Reynolds plans to attend Tarleton State University and study Kinesiology. He hopes to one day be a teacher and coach and influence future generations. We are proud to announce the 2016 Winner of the MAAD Hunter Venture Capital Group, Inc. 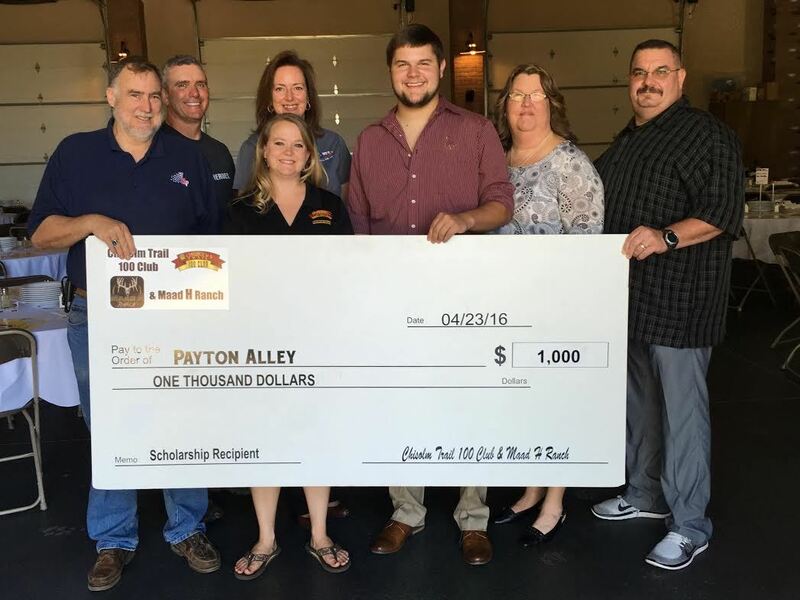 Scholarship was Payton Alley of Burleson High School! Mr. Alley's father is a officer Michael Alley of the Burleson Police Department, he has served his community for 24 years. 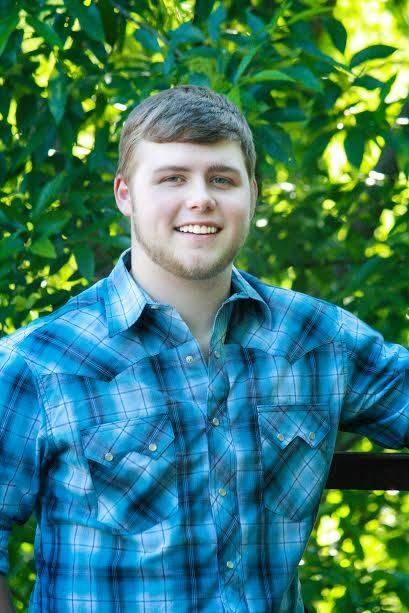 Payton will be attending Texas State University and studying to receive his Bachelor of Science in Nursing, he will then continue to obtain his CRNA (Certified Registered Nurse Anesthetist) after working in a hospital emergency room for two years. Payton has a long list of high school achievements, graduating in the top 20% of his class, A/B Honor Roll for all 4 years in high school, Academic All-State Football, the Greenhand Award in the FFA and more. He also is very active in his community, giving his time volunteering for Relay For Life, Habitat for Humanity, tornado clean up in Joplin Missouri as well as always helping out with volunteer programs at his church, the Burleson Church of Christ. We are so proud to be able to help Payton Alley achieve his goals, and look forward to following him in his future endeavors!